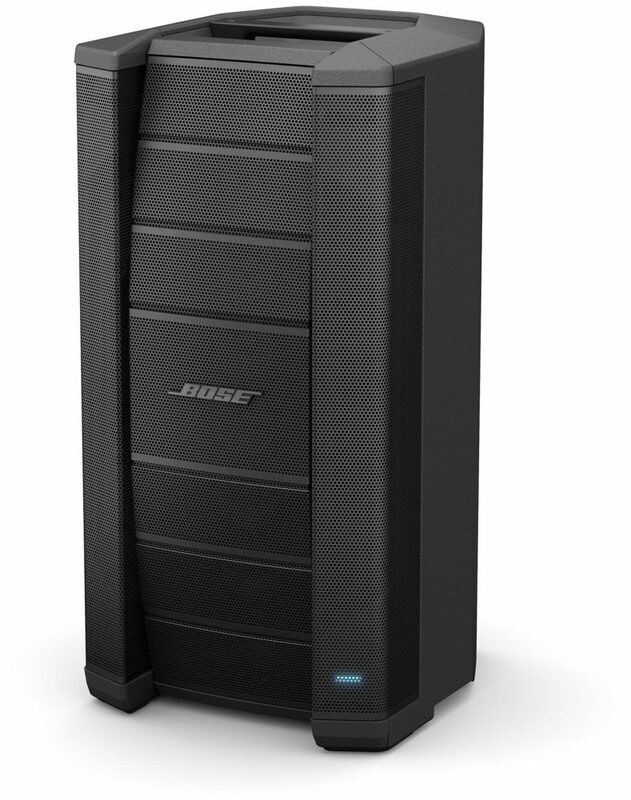 The Bose F1 Model 812 Flexible Array Loudspeaker is the first powered loudspeaker that delivers the benefits of an adjustable line array in a portable package. 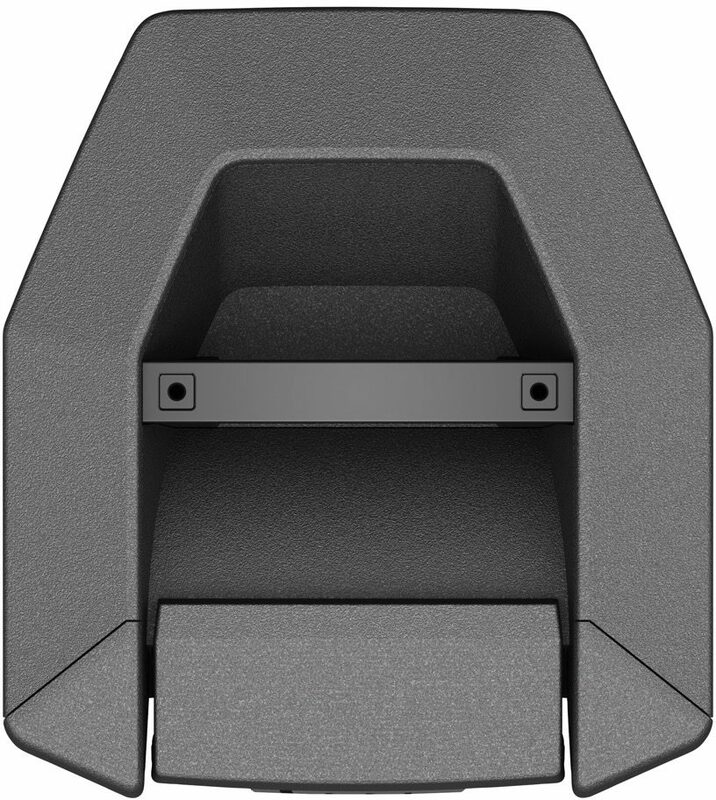 Its unique flexible baffle allows users to tailor the loudspeaker's vertical coverage to a wide variety of listening environments. The array is easily pushed or pulled into position to create "Straight," "C," "J" or "Reverse J" coverage patterns. Once set, the system automatically changes the EQ to maintain optimum tonal balance for each coverage pattern. 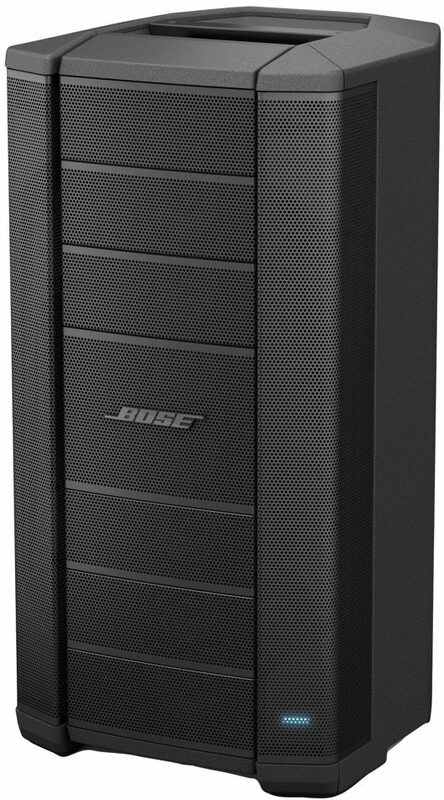 So whether the loudspeaker is at floor level, on a stage or facing raked seats or bleachers, the PA can be adapted to match the room. Engineered with an array of eight high-output drivers, a high-powered 12" woofer and a lower crossover point, the loudspeaker delivers high SPL performance while maintaining vocal and midrange clarity that's dramatically better than conventional loudspeakers. 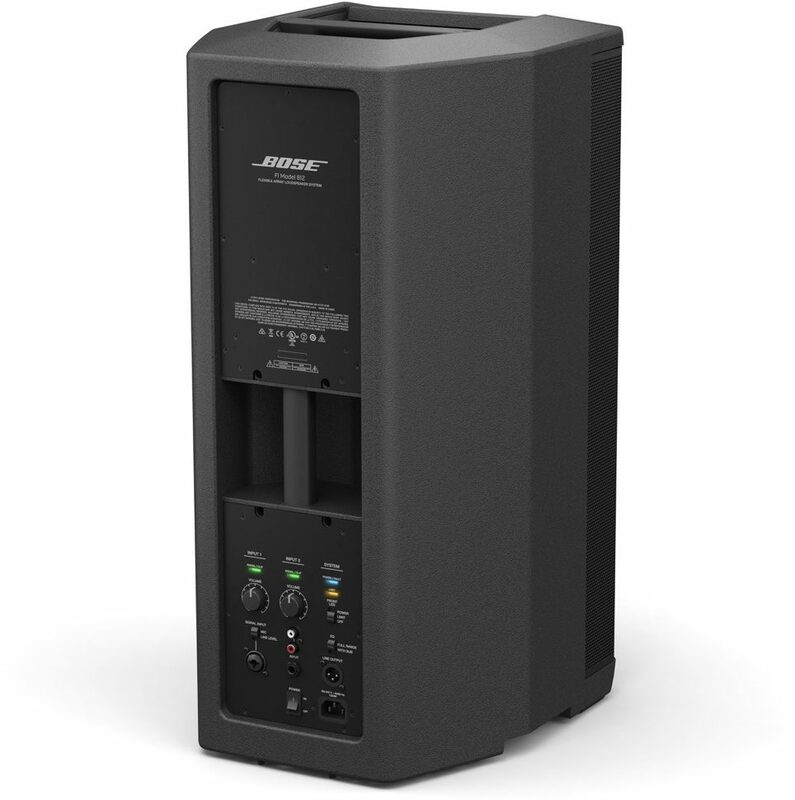 - The Bose F1 Model 812 Flexible Array Loudspeaker is the first high-powered portable loudspeaker with unmatched vertical coverage control and unsurpassed audio quality. 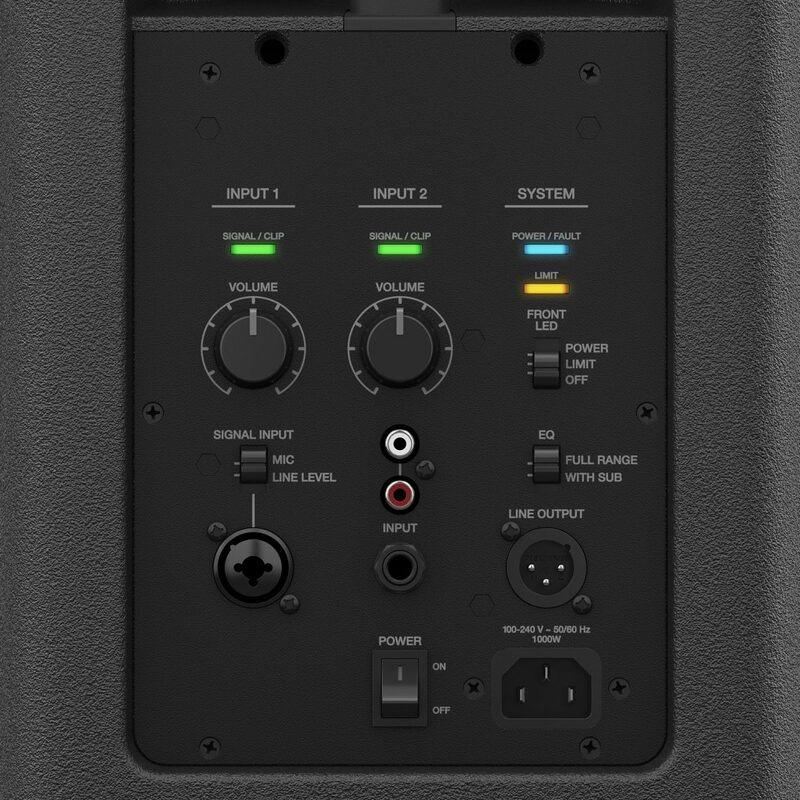 - The loudspeaker can be easily adjusted by hand to deliver four unique coverage patterns: "Straight," "C," "J" or "Reverse J," so you can optimize your sound for playing at floor level, on stage, or facing raked seats or bleachers. - Once set, the system automatically changes the EQ to maintain optimum tonal balance for each coverage pattern. 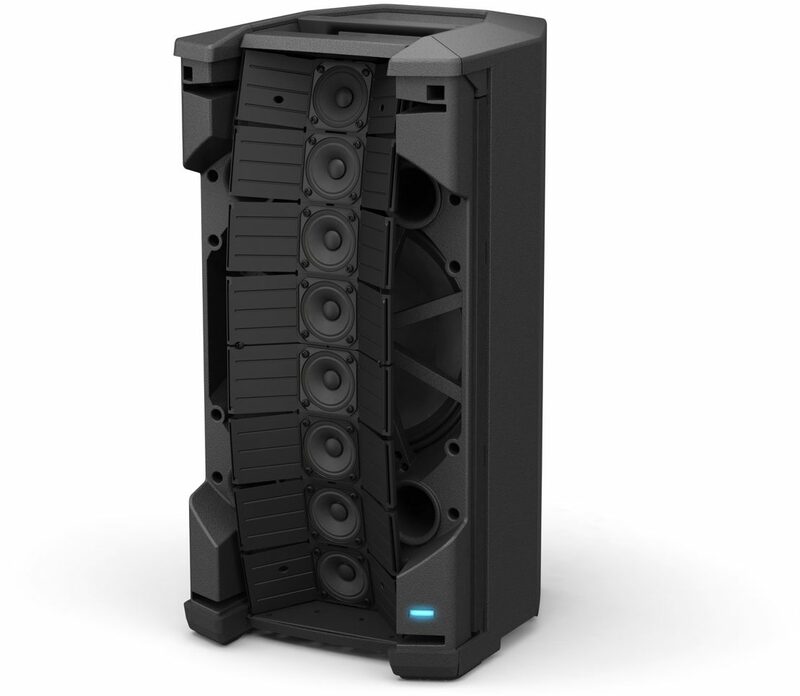 - Featuring eight high-output drivers, a 12" high-powered woofer and a lower crossover point, the flexible array delivers dramatically better vocal and midrange clarity. Overall: All I can say is wow!!!! I have ran all QSC powered including KW 181 and 152. 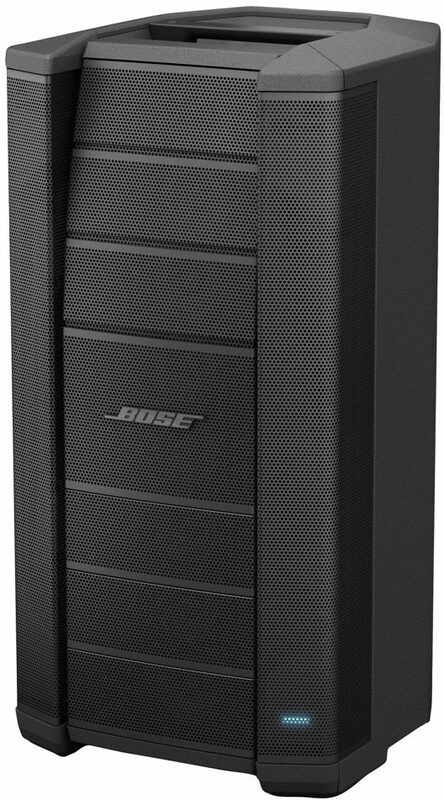 I have Han two of the Bose L1 model 2 b2 subs and they did sound good but when I heard this dude it blew me away. I just bought one F1 will be adding another one. then I add the subs they are loud and smooth. The 12 inch bass sound good at low volume but when you turn it to 12 o'clock the bass is still deep and rich. Get one more, you may not need subs but I love it you will feel it in your chest!!!!!!! "Probably the BEST speaker in this genre!" 27 of 28 people (96.43%) found this review helpful. Did you?